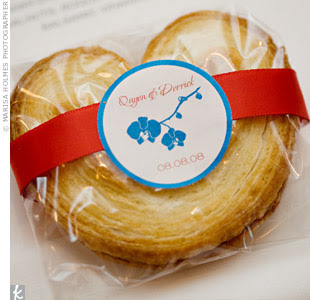 For Melinda's elegant but warm wedding, these favors stood out right away. 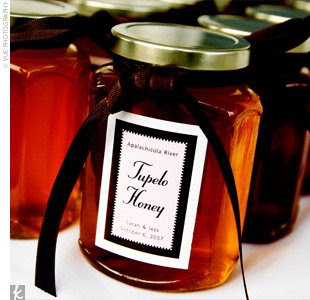 I especially loved the espresso ribbons on the honey jars; I can picture Melinda's big day in a wash of rich, full colors like chocolate and amber. Photos c/o theKnot.